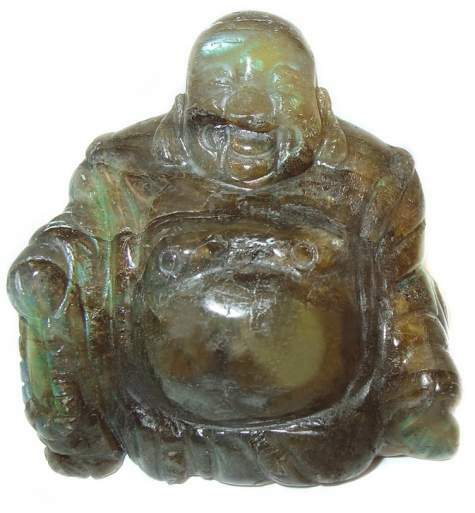 Rare large Happy Buddha carving in Labradorite, a Feldspar stone with abundant peacock colored fiery luminescence. Labradorite facilitates change in trying circumstances, plumbing the strengths of the inner self. Buddha sought truth, peace and enlightenment, encouraging tolerance and spiritual growth.